In May 2103 my working place is in Tehran. I am delighted to be Austrian Artist in Residence at the teahouse-pavillon of the Austrian ambassador’s residence. 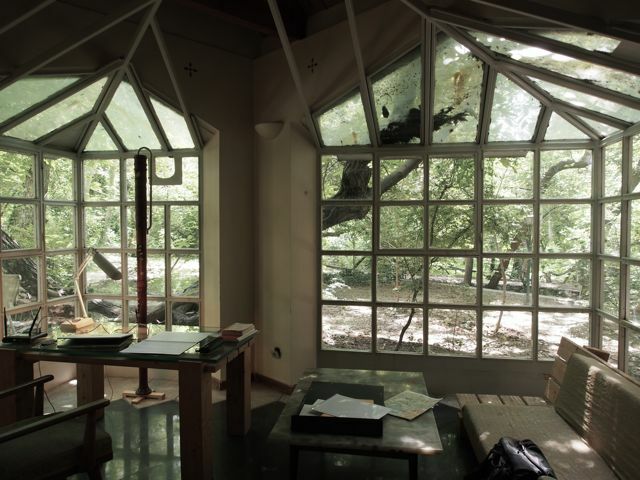 The “teahouse” is like an isolated retreat cell, providing the luxury of space for art, creativity and research. In a country with a climate like Iran, a garden is truly a paradise. It is protected by high walls, to keep out wind, dust and heat. In a bustling, noisy, dusty city of 14 millions, trees become true friends: without hesitation they share their gift of coolness and relaxation. I am surrounded by friendly, sentient beings full of generosity. I am grateful.